As the warm weather turns cold, the leaves begin to change, and your summer wardrobe is replaced with cozy sweatshirts and long pants, the changing seasons bring more than just a change in the weather. Often, our diets can take a turn this time of year too. Cozying up inside with the ones we love and some delicious comfort food doesn’t have to be unhealthy! Here are 3 classic comfort foods made healthy. Nothing screams comfort food quite like mashed potatoes. However, traditional mashed potatoes are loaded with carbohydrates and have minimal nutritional benefits. How about swapping out the potatoes for a lower carb option like cauliflower and cannellini beans? 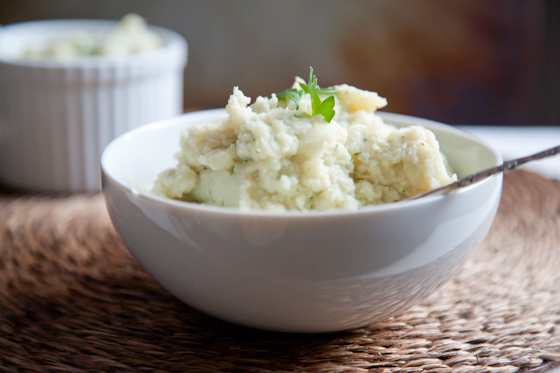 This unique recipe will give you the same craveable texture as mashed potatoes, but with fewer carbs and more health benefits like added protein! Check out the recipe here. Pizza is not only a delicious comfort food, but it is also convenient and can usually be delivered right to your door. If you’re a pizza lover, there are healthy ways to enjoy your favorite comfort food. Try swapping out a traditional pizza crust for a cauliflower crust like this one. When picking your sauce, look for low sodium or low fat options. And as for the toppings, go with protein and veggies. This way you will be full and satisfied from the protein while also getting a good serving of vegetables. It’s not unusual for football season and Chili to go hand in hand. It’s warm, delicious, and filling but it can quickly turn unhealthy with added ingredients and toppings. Try swapping out the traditional ground beef chili with ground turkey instead. Throw in some healthy kidney beans, tomatoes, onions, and some yummy spices and you’ll have an equally as filling and satisfying Chili, but with less guilt. Instead of adding sour cream on top, try using a dollop of Greek Yogurt instead. You may be surprised at how similar they taste! Try this healthy Turkey Chili recipe here!